I was having migraine. I was asked to take the leaves of Marigold plant in empty stomach in the mornings. In one week I got good relief. My mother in law had joint pains. I prepared kashayam for her and after taking the same for a week, she is trouble-free and is walking without any difficulty. – Ms Vedhamani, Natham village of Cuddalore Anchal. State Bank of India, Hyderabad Circle is supporting 100 Ekal Vidyalayas under their CSR. Sri Rajneesh Kumar, Managing Director (NBG) has formally handed over a cheque of Rs.20,00,000/- to Sri Kedarnath Agarwal, President, FTS, Telangana. The program was organized by the Chief General Manager, Sri Radha Krishna at SBI Local Head Office on 5th Aug. 2017. All the top officials of SBI - DGMs, AGMs and Office bearers and members of FTS, Telangana and others were present. 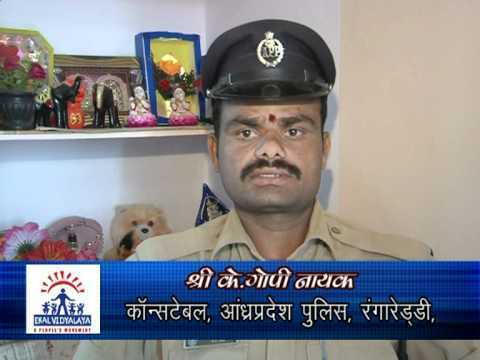 Sri Ashok Singh Thakur gave an excellent presentation of Ekal Vidyalaya. 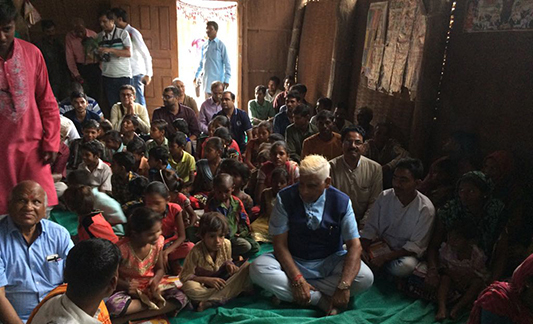 Sri Rajneesh Kumar, Managing Director praised the working of FTS in the remote tribal and rural areas. He expressed their happiness in partnering with Ekal for the development of Rural India. He also said that whatever little SBI is doing, is like a drop in the ocean and there is a scope for doing much more. 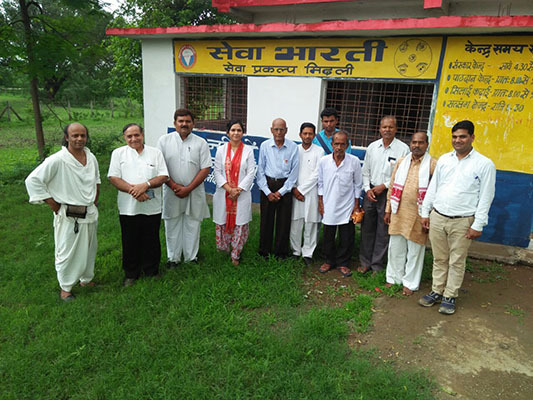 Ekal’s model of IVD was showcased with emphasis on pilot ‘model sanch’ project, going on in full swing in anakmatta, Uttarakhand, including the recent Dream India tour of college students in June 2017. 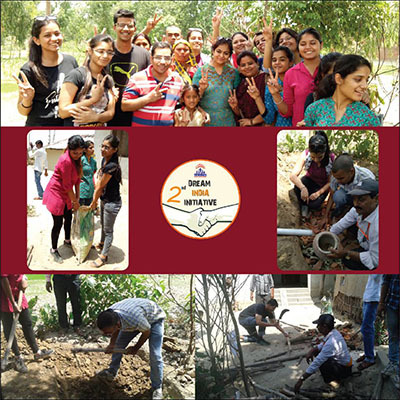 Ekal model of volunteering, offers interesting opportunities to both college students and young professionals to contribute in the noble cause. Dr. Nidhi P. Chanana-Fellow –TERI addressed the meet with her presentation on ‘Sustainable technologies for stressed hill agriculture’ and Dr. Kashtyapi Awasthi- Asst. Professor, National Centre for School Leadership, NUPA highlighted how learning should lead to society development and what is leadership for nation building. 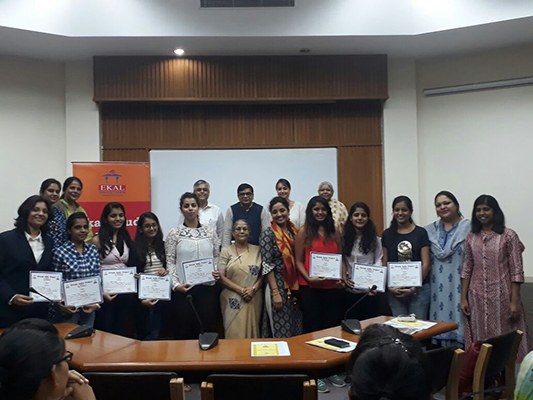 All 11 Ekal Dream India tour participants of June were awarded with certificate of participation by President- Ekal Sansthan. The program started with a welcome address and Shri Ganesh and Maa Saraswati Vandana by Ms. Kalpita Khare. 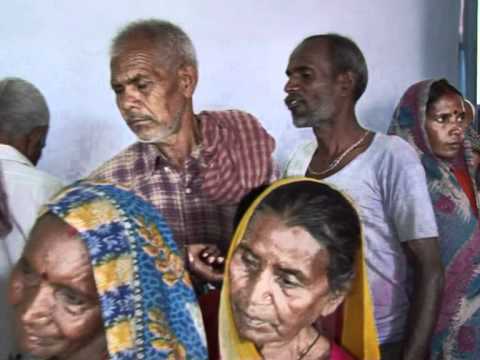 This was followed by a report on Arogya activities by Dr. Umesh Shukla with a video presentation. Subsequently Sri. Pragyakant Manglik made a video presentation on impact of Arogya work in Bihar State. Dr. Uma Thakur presented report on implementation and advantages of Saathi Pads for women and girls in Jharkhand State. Dr. Veena Gandhi informed about the unique program of HFRI – PMII. She said Pre-med students and Med students can avail of this program to get exposure to - medicine, culture, patients, social taboos and poverty - all packaged in a 10-14 days program. She concluded the program by summarizing HFRI initiatives, telemedicine and financial status. She thanked each and every one for their participation. 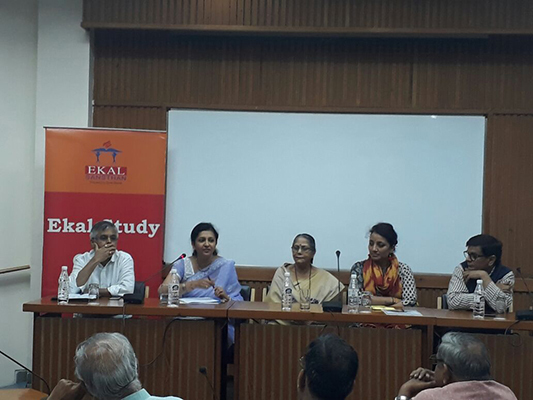 It was a moment of pride and honor for Ekal when a delegation from Ekal Sansthan led by Smt. Manju Srivastava, accompanied by Shri Praveen Arya and Dr. Susheela Madan met Nobel laureate Shri Kailash Satyarthi on 19th July 2017. Ekal team was given a warm welcome by Shri Satyarthi, who was profoundly impressed with Ekal's noble cause and initiatives. 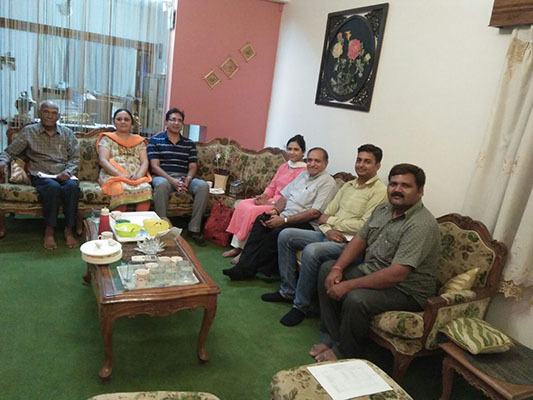 A wide range of discussions took place between Ekal team and him on holistic child development in rural and tribal Bharat. BHAVAN KUNJUMON, daughter of Maya ( Anchal Abhiyan Pramukh, Idukki) and Kunjumon (tea estate worker) has come out with flying colors in the recently held Plus 2 examination and the NEET Test. 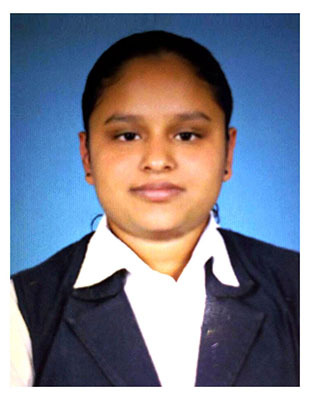 She secured full A+ grade in Plus 2 examination and also got 74.16% marks in NEET test. This news achieves more significance when we understand that BHAVANA managed to get such grades and marks without attending any tuition or coaching classes. And she was a bright student of EKAL VIDYALAYA at "OTTAMARAM" Village of Idukki District. 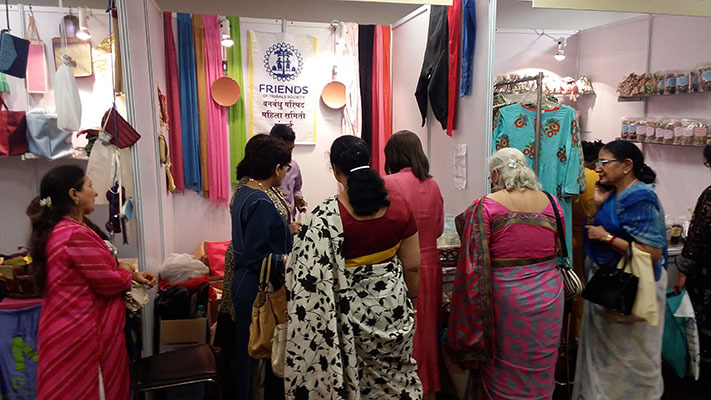 FTS Mumbai Mahila Samiti held a successful exhibition at NSCI SVP stadium on 6th and 7th July'17. The phenomenal turnout was of great encouragement to the members. The hard work put in was amply rewarded and they were able to raise funds for the organisation. It was a memorable experience for the members as well as the visitors. 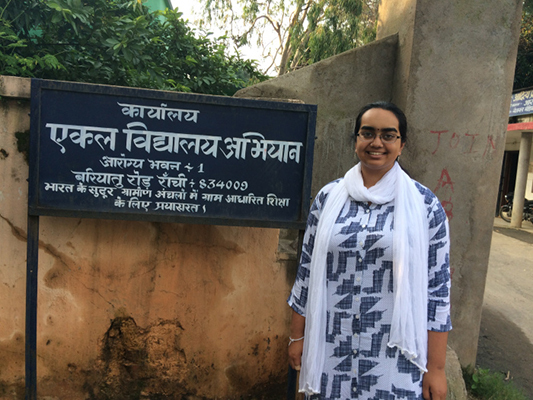 Dr. Shashi Srisvastava (Senior Scientist of NIH Maryland USA) long-time associate & guide of Ekal USA, gave one of the building that belongs to her family, to Ekal and to be used for their training programs. The Arogya Foundation of India visited the place and they both decided to use for all its training. On 23rd June, Navbharat organised an event" The great Indian philanthropist and CSR" at Vivaanta, Taj President. 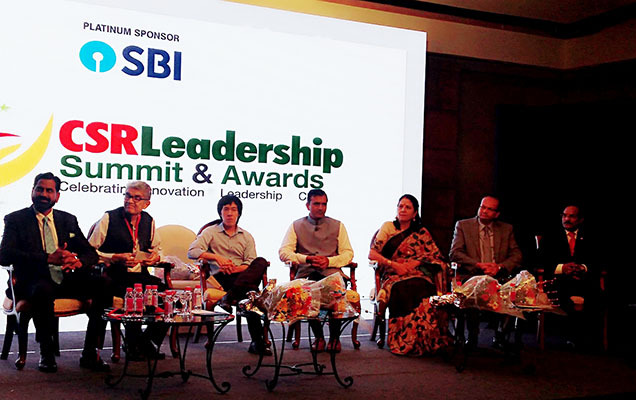 The platform was to felicitate various corporates who have contributed to uplift the Society through their CSR and the NGO'S who have impacted the Society with their Community development activities. Smt Namita ji Pandya represented FTS from Mumbai Chapter. The Hon'ble Governor of Maharashtra Shri C Vidyasagar Rao, unveiled the Coffee table book "CSR" along with Mrs Rajeshree Birla, Padma Bhushan Awardee, and a great philanthropist. FTS proudly occupies two pages in the book for its immense work in tribal areas. 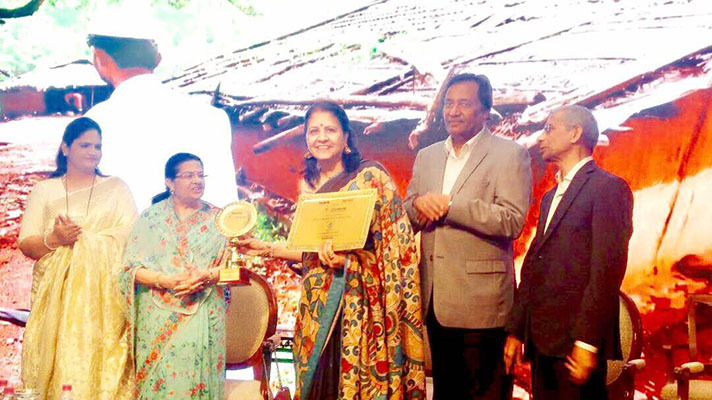 Namita ji also accepted the award for FTS and its immense work in tribal areas. She also participated in panel discussion on "Innovative strategies in CSR." Ekal Sansthan organized Second Dream India Tour from 1st-4th June 2017 in which 11 Delhi college students volunteered in various activities in Ekal villages at Nankamatta Block in Uttarakhand. The team visited Ekal Vidyalaya at Milak Najir Village on 1st June 2017 to see Ekal school in progress. 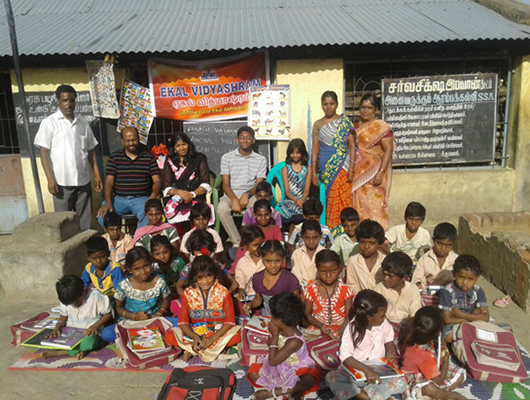 Students liked the non- formal technique of education and interacted with Ekal children in groups. Students also admired the local craftsmanship skills of village women who displayed the various handicrafts including baskets made of bamboo, waste material like plastic wrappers, dairies and wall hangings. The Dream India student volunteers had an ice breaking session with Ekal Achaaryaas in their monthly training session on 2nd June. The Tab training and group interaction in Masik Abhyaas Varg of Achaaryaas was an interesting and meaningful session where students and achaaryaas were split into groups. 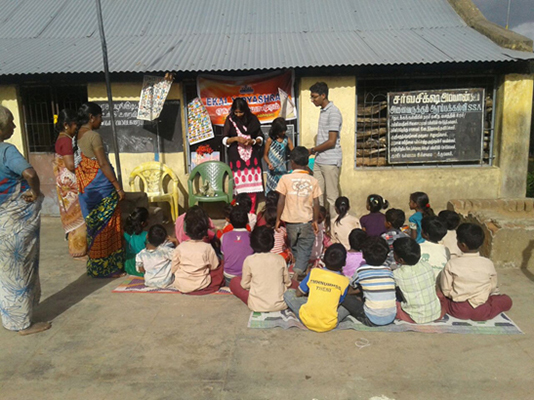 Students helped the Achaaryaas in understanding the structure of tablet content and guidelines of usage and teaching to Ekal children. It was followed by a focused discussion on the various problems and challenges faced by Ekal villagers and a joint brainstorming of possible solutions for the same. It was followed by Gram Samiti meet and cultural programme in Milak Najir village.The students joyfully sang patriotic songs and danced merrily on folk songs with Ekal women and volunteers. The third day of Dream India on 3rd June was an action packed day with students sweating out in the sun in villages in various physical activities in Sunkhadi village . 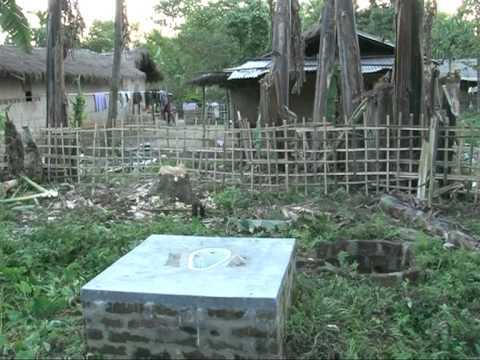 The first activity was Soak Pit formation where Ekal Volunteers explained the concept and utility of Soak Pit and the various ingredients needed for its construction. 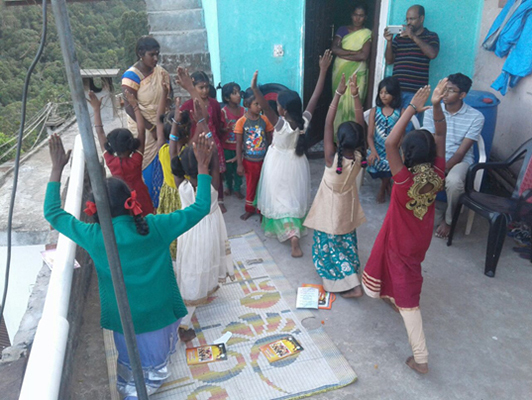 College students- including both girls and boys enthusiastically dug the pit under the step by step guidance of Ekal field volunteers, singing motivational songs to maintain the rhythm. Dream India student group were exposed and sensitized on cow based agricultural practices followed by Ekal. 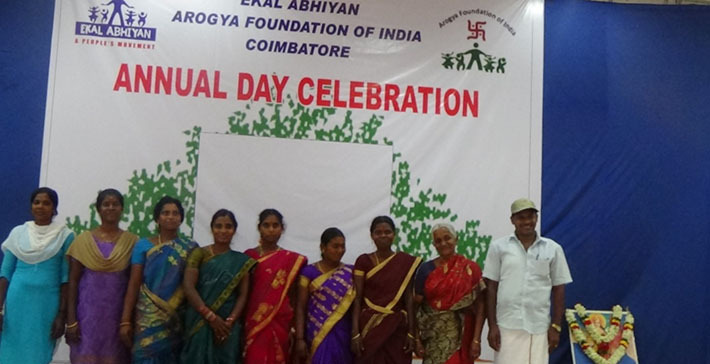 It included demos given by Ekal field volunteers to students on construction of vermin compost pit for manufacturing organic fertilizer, making of pest repellent out of mixing cow urine and plants. Towards the concluding day, DIT team left for Bheemtaal to unwind in the beautiful terrains of Uttarakhand. The bonfire at the local resort and group interaction further strengthened the mutual bond. The feedback session touched the hearts of everyone. 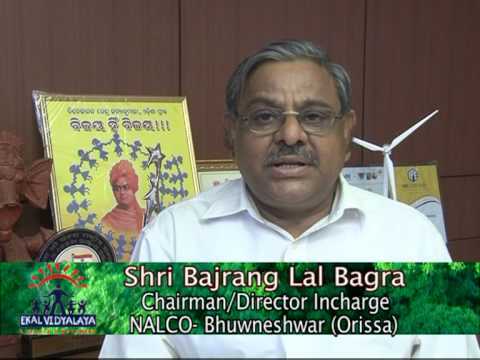 It led to a new beginning where young city based students and villagers felt a close connection bridged by Ekal. 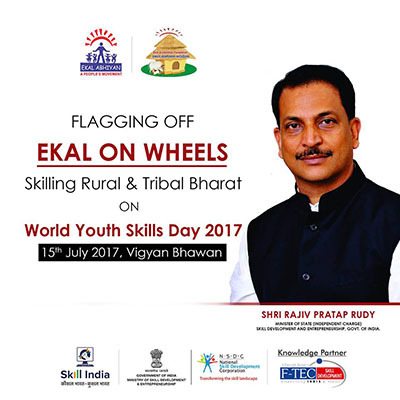 On the occasion of World Youth Skills Day, the Hon’ble Minister Of State (Independent Charge) Skill Development & Entrepreneurship, Shri. 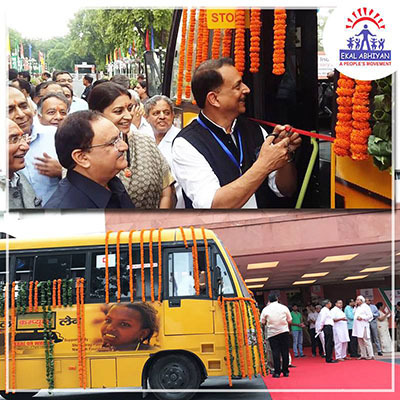 Rajiv Pratap Rudy, Flagged Off the 'Ekal on Wheel' - a mobile IT Lab to take IT Skills at door step of villages in the presence of Smt. Smriti Irani, Minister for Textile; Shri J.P Nadda, Union Minister for Health and Family Welfare and Shri Narendra Singh Tomar, Minister for Rural Development. 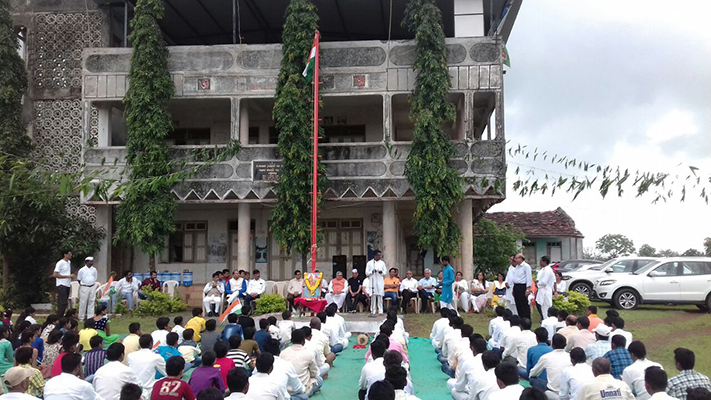 Ekal vidyalaya, celebrated India’s Independence throughout the country. Some pictures of celebrations by FTS Surat and Mahila samithi along with FTWs. FTS Mumbai members and Mahila Samiti celebrated Rakshabandhan festival with Ekal Karyakartas at FTS office. Gifts and sweets were lovingly distributed to all. Rakshabandhan was celebrated also at FIROZPUR of Punjab border. 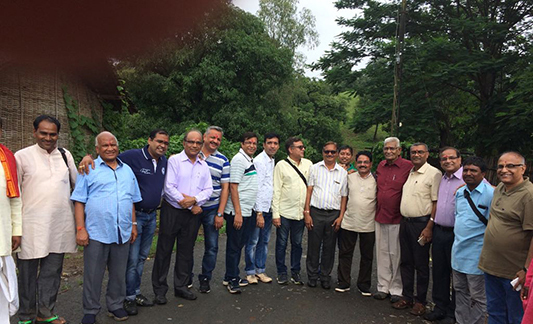 Organized by Tribhuvan ji Kabra, more than a dozen urban business families came together to Dangivada village in Narmada Anchal. 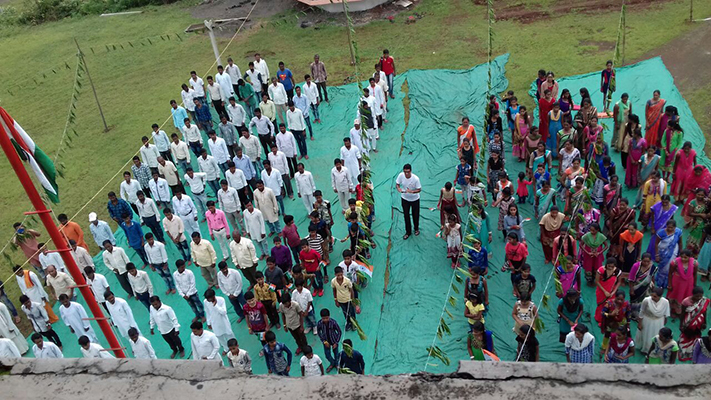 They all pledged their support to educate and uplift tribal community. 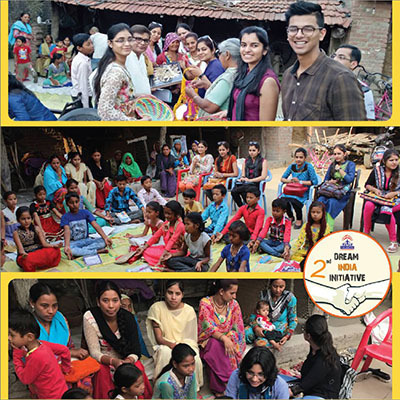 Deepak from US visited two Ekal Vidyalayas near Faridabad recently and gave his feedback thus: “While traveling to each village, I marveled at the simplicity of the general area. 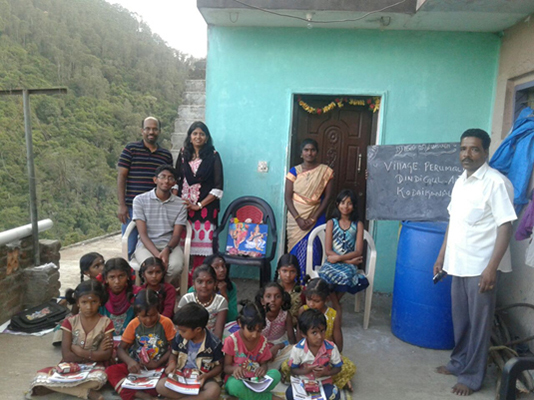 I also wondered, the only way that children from small, rural villages in India will have access to education is if organizations such as Ekal help them. The next time I see people donating money to Ekal or attending the annual fundraiser, I won't think about the dollar amount. I will think about the chalk boards that the money can buy, the alphabet books, the math workbooks, the pencils, the crayons etc.